I got to see NYC for only the second time. SO many things I'd like to highlight, but I thought I'd start out by giving a brief overview and my impressions. 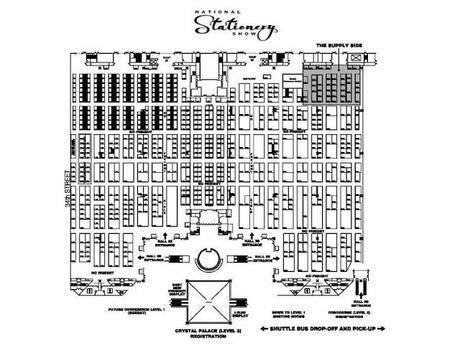 I'd heard complaints before the show that it wasn't as large as its been in years past. Being my first show I obviously did not have that reference. I thought it was enormous and am impressed that it used to be larger with even more variety. There was really SO much to see. 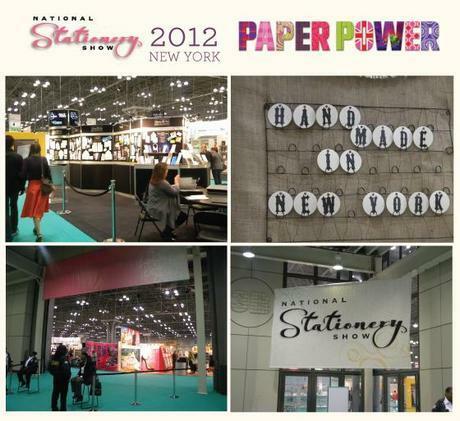 The badge for the National Stationery Show also gave attendees access to the Surtex Show and the International Contemporary Furniture Fair. 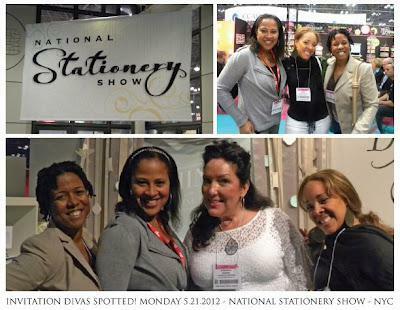 As an invitation designer, I was mainly interested in navigating the "supply" side of the show. 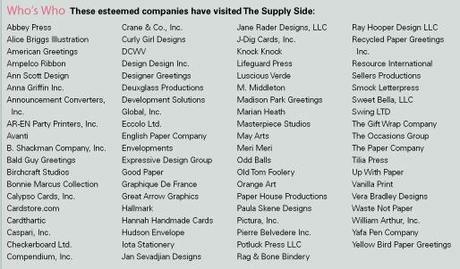 These vendors are selling to the trade and it gives buyers like myself an opportunity to purchase ribbon, adhesives, stamps and retail items in a more cost-efficient manner. 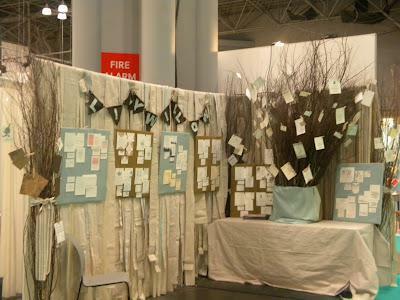 I think the design of the invitation booths were the one thing that I was not ready for. Just breathtaking, innovative displays. A real delight for those with a love and an eye for paper and clean design. 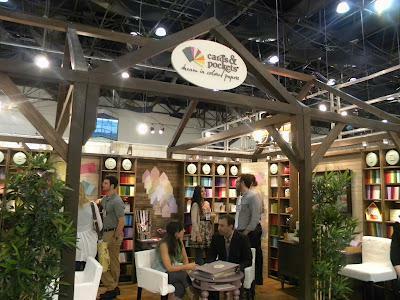 I discovered Cards and Pockets Booth!!! They felt like old friends. among the FIRST suppliers I ordered from upon starting CT-Designs. 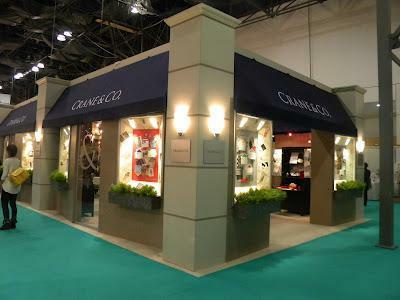 Crane's Booth looked like a storefront. 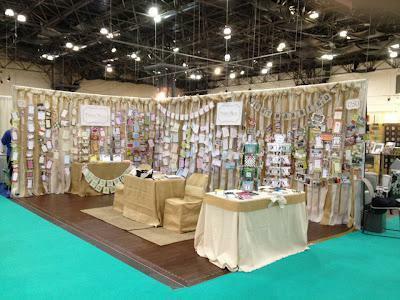 This 100% Cotton merchant is certainly a friend to discerning bride's everywhere! 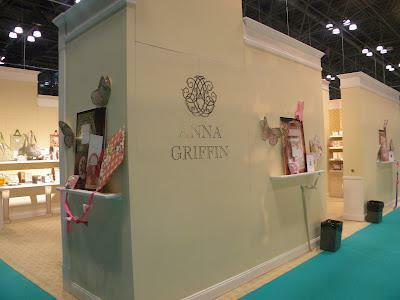 Anna Griffin was another heavy hitter who's booth resembled an office building! 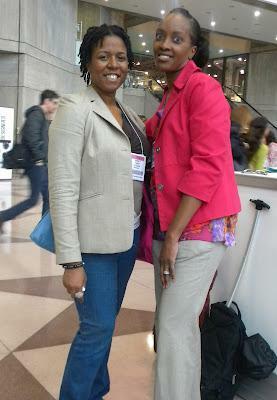 I would be remiss if I didn't mention my gratitude for my host Adrianne! She picked me up from LaGuardia during a rather vicious rainstorm and STILL managed to give me the dime tour of New York's garment district. I even saw Parsons School of Design (of Project Runway fame)! It was great to meet finally and I can't wait to share pictures of some of the projects we have collaborated on this season.